The Woodbury Country Club creates a light and vibrant atmosphere for the perfect Mother’s Day brunch. Their elegant dining areas and outdoor poolside scenery gives mom a paradise she’ll never forget. Come Sunday from 11 am to 2 pm for a delicious Mother’s Day brunch. Woodbury Country Club’s buffet menu provides the perfect brunch options. Try the cold table of delicious fruits, vegetables and cheeses. Or head to the carving station, Italian station, raw bar, omelette station and much more. There’s even a Coney Island station filled with hot dogs, mac & cheese and French fries. No matter what meal your mother is craving on her special day, you’ll find it here! Be sure to make reservations ahead of time. Novita of Garden City is a beautiful wine bar and Italian trattoria, which sets a casual yet exquisite dining experience for Mother’s Day. With wine from all over the world and delicious food, you can’t go wrong. Their Mother’s Day brunch menu includes everything from Nutella French Toast to Mussels Oreganta, to Antipasti to classic Italian desserts. The brunch menu also includes a complimentary glass of Bellini, Champagne Punch, Mimosa or Bloody Mary. Novita is even hosting a special Mother’s Day dinner. Make your reservations today and surprise her with the flavors of Italian libations and fare. On May 9 to May 10, spend some time with your mom at the 8th Annual Mother’s Day Craft & Gift Show at Eisenhower Park. It’s a weekend of family, shopping and fun. Local vendors display their hand-crafted trinkets, décor, clothes, jewelry, hand-blown glass and more all for sale. You and your mom can enjoy a day of shopping and it’s a perfect opportunity to give her a gift she can pick out on her own. There will also be plenty of food trucks selling delicious fair food. Enjoy the outdoors and show your mother a great time at the Eisenhower Craft & Gift show! No matter where you are, you’ll find plenty of Mother’s Day events on Long Island. Baldwin is also hosting a weekend long Mother’s Day festival from May 9 to May 10. So, whether you’re closer to Baldwin or East Meadow, you have the opportunity to check out beautiful handmade gifts. Find something your mom will love, from fun signs to hang around the house to natural and handmade soaps and candles. 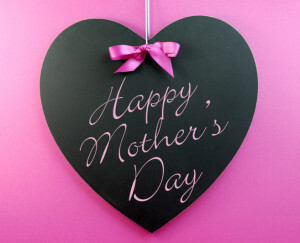 Give your mom the gift of a great day to spend with her children and tons of shopping! The festival is located at the LIRR station in Baldwin. There’s plenty of Mother’s Day events on Long Island, so make sure you find the right one for your mom. You appreciate your mother every day, but on this Mother’s Day show her just how special she really is and give her the gift of love! All Island Transportation is available to take you and your mom where you need to go. Call us at a location near you or make a reservation online.